Maria Camillo Ray Wylie Hubbard could have died. He chose rebirth, and to write and sing instead. The Hill Country opens out between Austin and San Antonio, stretching in the spring like a long, green sleeping woman, the Blanco and Guadalupe rivers washing out the roads winding through Dripping Springs, Manchaca and Driftwood, small towns where ranchers, farmers, artists and musicians have taken their leave of the lawyers and media wonks who've begun to overrun the freshly hip city limits of Austin. Ray Wylie Hubbard lives in Wimberley, Texas, just above the scrub-oak-laden banks of the Blanco, in a once-abandoned log-frame house that, with his wife, Judy, and child, Lucas, he's restored to that generous, woody, high-ceilinged space of Southwestern homes. Above the living room, he's fashioned a small loft: late at night, with his guitars, harmonicas, notepads, books -- Rilke, Joseph Campbell, Zen literature -- and a few candles, he studies on the slide guitar and writes songs. Given his years in the Texas "progressive country" movement -- "progressive" as in velocity of substance abuse -- Hubbard should have burned out, vanished or just died, ending as little more than an asterisk to a footnote of the '70s country-rock scene. He didn't. He took a cue from Stevie Ray Vaughan, got clean as East Texas rain, built a family and dropped the Lost Gonzo-outlaw-"play 'Redneck Mother' again!" madness. His '90s recordings, beginning with Loco Gringo's Lament, Dangerous Spirits and, most recently, Crusades of the Restless Knights, have established him as one of the most artful and spiritual -- without hokey holism, with only from-the-gut clarity -- songwriters in Texas. And that's as good as saying anywhere today. Crosses, bibles, baptisms, drifters, poets and preachers populate his songs. Their figures are iconic but true-to-the-truest-life -- like Diego Rivera's murals, had Rivera heard the music of Bob Dylan, Robert Johnson and Townes Van Zandt. Hubbard fits in that tradition of blues-tested lyricism, and though his songs speak for themselves, get him cornered and he'll talk. "That's the idea that you have this wreckage of the past," he says, "those things that haunt me some times, those things I wish I'd done different or better. But when I think that way, I know I'm asking the wrong question." "Those are some of Alejandro Escovedo's bands: The True Believers, Rank and File," he explains. "I did a gig with him, and we were driving home when that first line just popped in my head. I said 'Wow, that's Alejandro, but what happens after that?' I called Lisa Mednick and asked her what happens after we gather small treasures. She said, 'There's kingdom come,' and I said, 'What is that?' She called up a friend who was Catholic and asked him what it meant, but I don't remember what he said. It didn't matter; I just used the phrase." "I read somewhere in the Bible that the sun shines on the just and unjust. I took that and turned it into rain. The way I look at it is that rain will fall on the just; there's gonna be sorrow for the good people. Of course, I had to plagiarize the Bible and change it around. I just couldn't leave well enough alone." "For a time, I did wear out my welcome. People would say, 'Here's Ray. Come on in, Ray.' I'd drink all their whiskey, do all their dope and wear out my welcome. And I didn't have many people praising me in Confederate states, either, you know, like in Nashville. I'd worn out my welcome in both worlds; I couldn't even hang out in a Spanish bordello. When you're 86'ed from the whorehouses and from Nashville, you know you've hit hard times. "But then there's this angel," he continues, "kind of sensual, very kind, a tarnished angel. In the song, I'm this messenger/songwriter guy, and this angel is smiling at my fate. I don't know what kind of smile it is -- a smile of grand destiny or a smile of sympathy -- that I'm gonna lay down under a tree and die." Yes, Ray Wylie Hubbard could have died. He chose rebirth, and to write and sing instead. 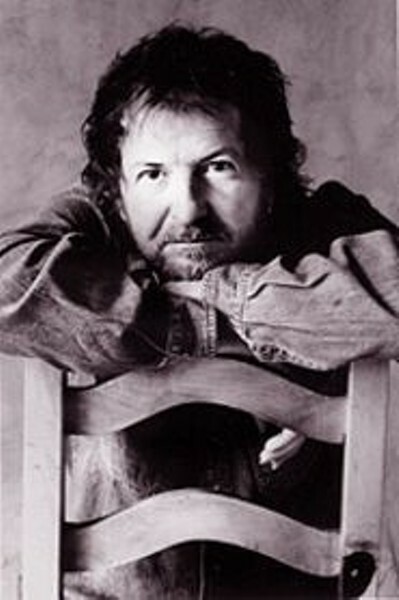 Since working on Crusades with Lloyd Maines and rebuilding his artistic reputation in Texas, Hubbard has also become a much-requested producer. "The trick to producing is," he says with a wink, "you gotta have a really good Rolodex, call the right players, sit around and say, 'Well, what do you think?' And then, every now and then, 'Atta boy!' That's all there is to it. The main condition I have is that the songs be there. I've turned down a few people. I thought they needed to write 300 or 400 more songs." In August, Hubbard will return to the studio for his third Rounder/Philo recording, to be released in the winter of 2001. "I've got six new songs, a few I'm nibbling on. There's three bottleneck-slide songs, a few in open tunings. It's gonna be a funkier record. I've got one song with a full drum kit; the rest will be brushes on a box and a tambourine. I do have one Yardbirds rocker. I'll probably play five of them when I come to St. Louis. "One is called 'Mississippi Flush'," he reveals. "This guy in the song gets a royal flush, an ace side straight, all the same suit. The lines are, 'You don't need God's grace, this hand don't lose/Somebody said that ain't good enough, that can't beat the Mississippi flush/Mr. Ledbetter, will you tell me again, what's a Mississippi flush, and how can it beat this hand?/They don't ask questions in the graveyard,' Ledbetter answers. 'It's a small revolver and any five cards.' A lot of the songs are sort of rural-Southern, sort of backwoods. Learning the slide has brought these songs along; I've been listening to Mance Lipscomb, and you know I used to see Mance play a lot." The characters Hubbard creates find themselves teetering just beyond the range of grace, but close enough to hear the sound of the dove's fiery wings. Like Flannery O'Connor's misfit prophets, sometimes they get burned. He has come to take deeper and deeper cues from the blues, from its succor and sturdiness, its plain language and unexpected humor. "I don't know if that comes from my age or from guilt, the wreckage of my past, trying to make up for it." But no analysis, critical praise or quotation can quite describe how, onstage, he fuses his Texas myths with riveting finger-style guitar -- or begin to capture just how funny he can be. Hubbard will offer up a singalong as "the audience-bonding part of the show," then explain: "It's like, we come here as strangers, and we sing this song together, and then we leave as strangers -- who sang the song together. But what do you expect? Camelot?" Or he'll start off "Last Train to Amsterdam," a song in which Robert Johnson pays a visit, only to unravel a hilarious yarn about goat farmers, devils and chain saws in Poetry, Texas. The kicker finds wisdom in absurdity: "So I flew over to Amsterdam to do a promotional tour, and when I landed, the record company came running, all excited, saying, 'We've got you an interview with the head main, heavyweight rock critic of Europe! He writes for like the Rolling Stone of Europe. He heard your record and he wants to talk to you. So I go to meet this guy, sit down, and the first thing he says is, 'You know, there is no last train to Amsterdam. They run 24 hours a day.' Well, I had no way of knowing that. I said to him, 'It was a metaphor for death.'" He pauses. "I got five stars." Ray Wylie Hubbard performs at Off Broadway on Thursday, May 11. Troy Campbell opens.